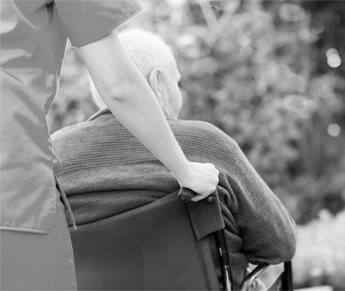 Bestwest Care is a health, aged and community care staffing agency in Perth, and an established registered training organisation. We place registered and enrolled nurses, personal care workers, therapy assistants, and domestic staff at aged care, community, disability and health facilities throughout Western Australia. Whether you’d like to enter the health care, aged care sector or disability sector, or complete any one of our aged care courses, contact us today. Alternatively, if you already have the necessary qualifications and experience and you’re looking for employment, we have a range of aged care jobs that require qualified personnel. If you think you have what it takes for a career in caring, then start training with us. 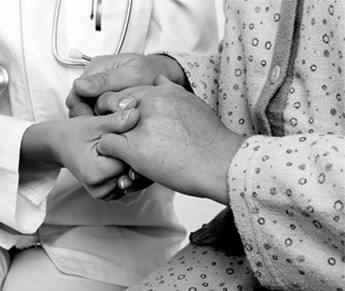 We are looking for people who are caring, empathetic, dedicated and patient. Our aged and disability care training focuses on preparing you for a career in your chosen field or expanding on your previous knowledge and experience. There are also skill sets focusing on a specific topic and single units of competency or short non-accredited courses. We can also tailor training to meet the specific needs of organisations. This can be presented at our training rooms or at your workplace. This is a fulltime course, which runs for a minimum of six weeks. There are two to three weeks of theory work, some of which may be completed at home. Practical sessions will be completed in our training rooms. People who obtain a certificate 3 in Individual Support qualification can work in aged care facilities, home and community care and disability services. This course is offered as a mix of classroom attendance and at-home study. Practical sessions will be completed in our training rooms. People who obtain a certificate 4 in Ageing Support qualification can work in aged care facilities, home and community care and disability services. Our disability care course reflects the role of workers in a range of community settings and clients’ homes. We provide training and support that empower greater levels of independence, self-reliance, community participation and wellbeing. Workers promote a person-centred approach, work without direct supervision, and may be required to supervise and/or coordinate a small team. People who obtain a certificate 4 in Leisure and Health qualification can work in aged care facilities, home and community care and disability services. Everyone should complete a first aid course, especially young adults and parents. Spending a day completing a first aid course can save a life. Whether you are a teacher, sports coach, lifeguard or active person, you should sign up for our accredited first aid courses today. This can be completed as a two hour course or as a part of Provide First Aid. Just a few hours can save a life. Whether you are a teacher, sports coach, lifeguard or active person, you should sign up for our accredited first aid courses today. If you have the relevant qualifications and experience and are looking for employment, contact us. As a premier staffing agency in the industry, we place qualified and appropriate people in organisations, ensuring the job and worker are an excellent match. Register today to apply for a job. As aged care specialists, we aim to provide a professional service to all our clients and practice a philosophy that will help us continue to meet industry standards. For a rewarding experience, contact us – Perth’s leading aged care recruitment agencies.